Cybersecurity demands the same seriousness as other important business processes, like generating sales leads, accounts receivable, and fulfillment. You need to manage your cyber risks as thoughtfully and intelligently as any other full-fledged business risk. There is a pervasive, misguided perception that cyber risk is an issue confined to the IT department. Board members and senior executives expect their CIO or CISO to resolve cybersecurity problems, and move on to focus on operational objectives. That should not be the case. Why? Because cyber risks can be just as devastating to your business as any risk you will face. Criminal hackers recently took down the level one trauma center’s computer systems in an upstate New York hospital. The Erie County Medical Center was seriously hobbled for six weeks because nearly all their computers were encrypted with a ransomware strain that demanded an enormous ransom. Did they pay the ransom? Nope. It took six weeks and more than $10 million to recover. They were unable to treat a lot of patients during that time. But it was ultimately the right decision. Paying ransom just encourages more ransomware. Code Spaces was a software source code hosting and collaboration platform with over 200 business customers. In 2014, it was put out of business within 12 hours by a cyber-attacker who deleted all their data and backups stored in the cloud. 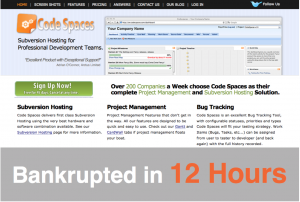 The attacker broke into Code Spaces’ Amazon EC2 control panel and left extortion demands. When the attackers saw signs that Code Spaces was fighting back, they deleted all the virtual machines and data, putting the cost of recovery out of reach. FACC Operations is an Austrian company worth US$600 million. It produces spare parts for Boeing and Airbus. In January 2016, FACC disclosed it had been the victim of a Business Email Compromise (BEC). $56 million was stolen and only about $11 million recovered. The theft resulted in a net loss of about $22 million for 2015, and an immediate 17 percent drop in its share price. 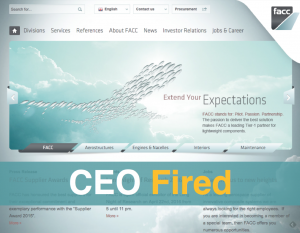 The CFO was fired in February 2016. In May 2016, the CEO was also fired, after 17 years with the company. It may sound surprising to you, but an effective cyber risk strategy will benefit your company’s balance sheet. When your prospective customers decide who to do business with, cyber risk is often a pivotal factor. Potential customers want to know that their information will be safe with you, and that you have processes in place to prevent security breaches. So, the better your cybersecurity, the more attractive your services. A consistently reliable cyber risk management program can help you grow market share. Your company becomes a lower risk, higher reward option – especially when your competitors suffer a public data breach or technology failure. Cyber Risk Opportunities helps middle market companies make cybersecurity a business strength by prioritizing and reducing your top cyber risks, including the specific requirements of PCI, HIPAA, SOC2, ISO 27001, DFARS, and more.